FC4, Other Accessory for Keyboard from Yamaha. PaulyPaul's review"Great first pedal, and it will hold up for a long time"
The Yamaha FC4 is a sustain foot pedal that comes with a 6’ cable. It will be perfect for your Yamaha or Roland keyboards. It is very affordable and cost less then 30 dollars. The pedal works well , the pedal is very responsive and it will give you good control. Most keyboards don’t come with pedals anymore because most of everything has went digital so there was no need for a pedal. But some of us still play a keyboard the way it was normally intended to be used. So if you need a pedal then the FC4 is the perfect one, unless you have a lot more money to invest in a different one. The FC4 will work with any keyboard that you have that has a pedal input ¼ slot. I have used it on 4 different keyboards and I don’t think that I have seen a keyboard that didn’t have the ¼ input for a foot switch or pedal. The Yamaha FC4 has a natural and smooth feel to it. I have used a lot of pedals over the years and a lot of them are better than the FC4 but none of them are around the price of the FC4. If you are in need of a pedal this is the one you need to get because you can afford it on any budget. I mainly use the FC4 with my Fantom 61 by Roland. I thought that I was going to need an expensive pedal for the Fantom being that it is an expensive keyboard. But after my budget was shot, I had no choice but to get a pedal that I could afford at the time and the FC4 was just that. It is well built and will hold up great under the pressure of your foot! It is a must have for any home keyboard player, or someone who wants to get into learning to play with a pedal. It is one the best 30 dollar investments I have ever made! This pedal offers a great advancement in half damper effect without any line noise. It is excellent when recording audio piano tracks from line outputs. It adds one more piano “authentic” aspect to entertain the acoustic piano listener. Yamaha could make two improvements to this product. -- First, the amount of pedal travel before the effect engages should be adjustable or closer to the top end of the pedal. The pedal has to be pressed nearly halfway before the effect engages. -- Second, rid the pedal of the squeak in the mechanism. This squeak is aggravating. It is distracting especially in softer passages. The noise is aggravating to others when the player is practicing with headphones. Anyone present will have to put up with the aggravating squeak and grinding of the pedal. In these situations, I recommend just swapping back to a FC4 sustain pedal. Overall the FC3 pedal is a great addition to a digital piano domain. It adds a realistic dampening effect, just as it was designed to provide. And in recording or just playing, lets you add one more tweak to your expressiveness. I love the feel of this pedal. I love the fact that it does slip slide away from me when I'm playing. HOWEVER, the polarity on this pedal is reversed from many popular brands of synth. I have a Casio synth that this pedal does not work with. When the pedal is up, i get full sustain. But, with the pedal down...nothing. So make sure you ask your sales associate to check the inventory notes to be sure this pedal works with your synth. Another good substitute is the m-audio SP-2. It looks and feels the same, but it has reversible polarity. But if it works with the board or workstation that you are using get this one for sure. Plus its made by Yamaha, a company that puts out quality products. 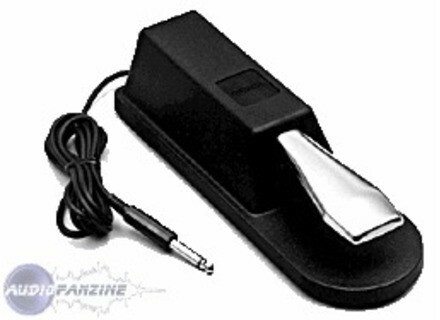 The Yamaha FC-4 is a high quality sustain pedal designed for use with a number of different digital keyboards. 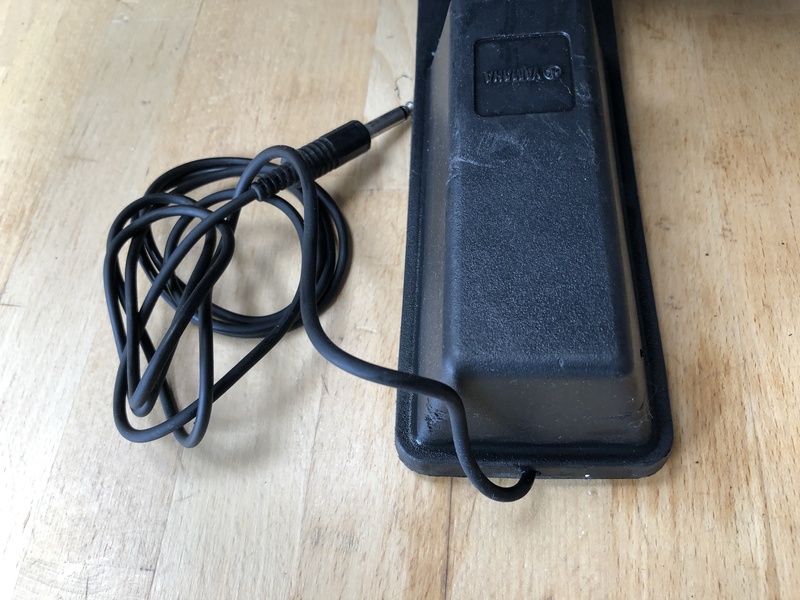 It has a standard 1/4" cable on the end of it, so anything other than a Korg Triton that has a 1/4" jack for a sustain output will work with the FC-4 as far as I know. The FC-4 is definitely one of the better external sustain pedals that I used that don't come with any keyboard. It has a very natural feel, and has never presented any problems to me while I'm using it. It does its job very well while at the same time looking presentable and well kept. It is a nice large size, unlike a lot of the other sustain pedals out there, making for a very realistic sustain pedal feel, which after all is the goal. The pedal also isn't too light, meaning that it has the right amount of control and action on the pedal itself, making it easy to control and to get the amount of sustain that I'm looking for the first time. Yamaha is a master when it comes to keyboard instruments and related accessories, so you can definitely trust them when it comes to anything piano related. 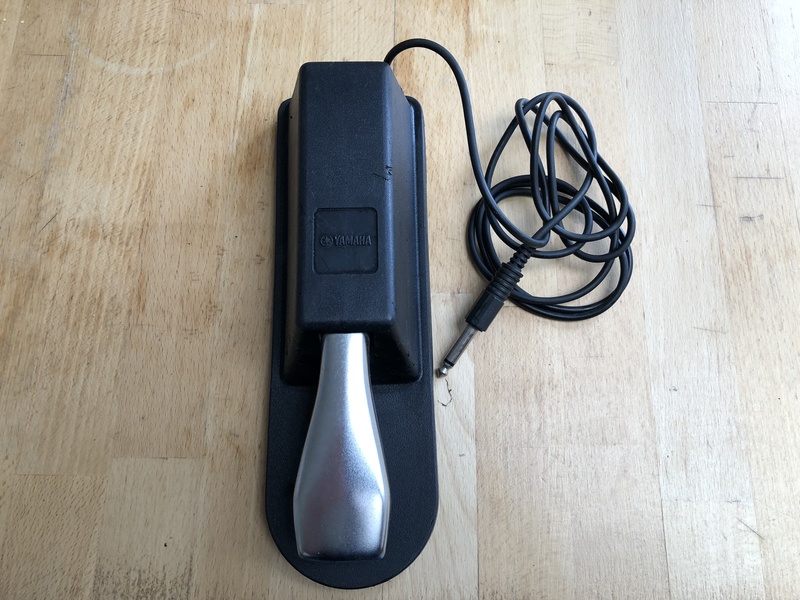 I used the pedal with a Yamaha Motif 7, and while I would double check to make sure that this sustain pedal will be compatible with your keyboard, most users shouldn't have a problem at all. The price isn't expensive, even when compared to sustain pedals of this ilk. Although there are definitely some models of sustain pedals out there that cost less, I don't think that you'd be able to find one that is as good and realistic feeling at this price or cheaper. If your keyboard didn't come with a sustain pedal or you simply need a new one, the Yamaha FC-4 is absolutely the way to go on all levels.